I want to ask for your help around potty training my son who is nearly three years old. We started a couple of weeks ago when I thought he was ready and for a few days he seemed interested in sitting on the potty and trying but now he pretty much refuses. I tried using a sticker chart and sweets which helped maybe three times but now he’s not even interested in that. He gets really mad if I try to put pants on instead of a nappy and if I do get pants on I feel like he’s having accidents in them on purpose which makes me feel annoyed. I don’t know what to do. He’ll be moving to the next room in nursery soon where I know that they prefer them to at least be trying to use the potty. He has a little sister who is 6 months old and I don’t know if he just still wants to be in nappies like her or it’s just too much effort or what? Please help! 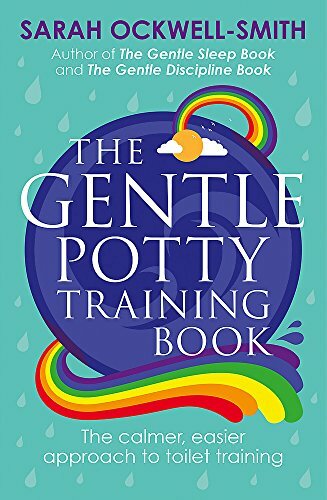 Potty training is a big event in a child's life. As your son learns an entirely new skill it can be stressful for all parties involved. It can also very easily become a power struggle between a parent and child. We all know that power struggles don't generally end well, and it’s important to remember that it isn't possible to win a power struggle with your child about their own body. It isn't your job to teach them ONLY to provide the right conditions - the rest is up to them. Now that might feel a little uncomfortable because it means giving up some control over the situation (although actually as you have found you aren’t control anyway). Really, this is good news as we can trust that your son will learn this skill and your role is to support him in the process. Sometimes in potty training, there are unrealistic expectations of how easy or fast the process will be. The internet is awash with tips for training in three days (often involving sticker charts and rewards as you described above). The truth is this - if this approach worked it was more likely to do with the readiness and motivation of the child than the approach. Even children who do train quickly will likely have some accidents over the following weeks as they learn how to appropriately respond to their bodies signals. As with many other developmental milestones such as sleeping, crawling and eating - it takes a little trial and error. You say that you thought that your son was ready but often this has more to do with our developmental perception of age than any particular signals. I'm especially aware that you feel under pressure because of the nursery situation. If you son isn't particularly mindful of his body's signals yet or actually isn't bothered by a dirty nappy he might not quite be there yet. We have more information about being ready when our children tell us that they need changing or indicate some awareness of what they need to do (for example going into a corner and squatting). If actually, you haven't seen any of these signs in your son it might be a better idea to step back for a couple of weeks and observe. If you do notice any of these behaviours, you can give him some positive feedback. Keep the idea on the radar by mentioning it often in relation to him and others. Make these comments lightly and in a non-judgemental way. Once he sees the process as a positive he'll be keener to take the first steps himself. Let him choose himself a potty. Make it clear that it's there for when he's ready. Keep it in the bathroom and let him play and sit on it. It's a good idea to have more than one potty as often the rush of getting to the bathroom and failing can add extra pressure to the situation. It might feel strange but let him come to the toilet with you. If you have older children or cousins to play who don't mind, your son might find it helpful to watch how they do it. Kids like to copy other kids and making it seem normal and natural may remove any of his undiscussed fears or resistance. Encourage him to sit on the potty often, even with his clothes on, this gets him more used to the positioning and comfortable getting on and off. Put a couple of toys or even books about potty training next to the potty for him to look at. One of the most common reasons for potty resistance is that kids think it’s boring. Two-year-olds are busy! At first, it's likely they will need to sit for a couple of minutes before having any success. If they see this as a chore that stops them playing, they might just choose to go in their nappy instead. Sit with them, sing, play or read to hold their attention. Try not to insist on them sitting any more than a few minutes as they'll just be less keen to get on in the first place. Once he's used to this, try and do it at regular times of day when you think he might go - e.g. just after breakfast to get him more of a regular routine. The aim is to start building his awareness of his body's signals. This doesn't mean he's trained as you're doing the hard work for him but it is likely that this will start to help him notice more. In terms of wearing pants, it's a tricky one. It would be better to get straight into pants as they let the child 'feel' it more if they have an accident. However, as your son has already become resistant it could just become a battle for control. Perhaps try pull-ups as they aren't as absorbent and offer easier access for him to pull up and down and practise. Each day get out and offer both pants or pull-ups. Once he feels in control he's more likely to choose the pants. Similar to the potty it can help to let your son choose exciting pants that he would like to wear. If the weather is nice and you can play in the garden - take the potty outside and go bare-bottomed. Even easier! 'You must be so proud of yourself'. It feels good to master a new skill. Stay calm and manage it together. Praise any steps at all, like telling you or trying to get to the potty. Be matter of fact about it. Let your son know that accidents happen and that's how you learn to do new things. As you have discovered if your child isn't motivated to learn for themselves then treats and stickers only get you so far. It also just means something to wean off and you might even face some regression for stopping the rewards. Providing rewards in this way doesn't allow your child to feel good about learning something new for themselves and is a very short-term strategy. As you and your son have already gone head to head about this, I'd be tempted to go right back to the beginning with modelling, choosing a potty and talking about it in a non-pressured way. Perhaps even a week or two of not mentioning it so that you can have a fresh start. Remember, your child will learn but in his own time. The more you push it, the more likely you are to meet resistance. In this situation, you're the assistant, not the boss. It's his body and giving him the opportunity to learn for himself will lead to much more confidence in this area and others. In fact, thinking of it as potty learning and not potty training can be a big help. You might still feel frustrated at times during the process but just remind yourself, that accidents are normal and learning something new is hard. Your son will crack it in no time! If you’re a mother who wants to continue the conversation with a like-minded crowd, then join our ‘Mellownest Mindful Mothers’ group on Facebook.